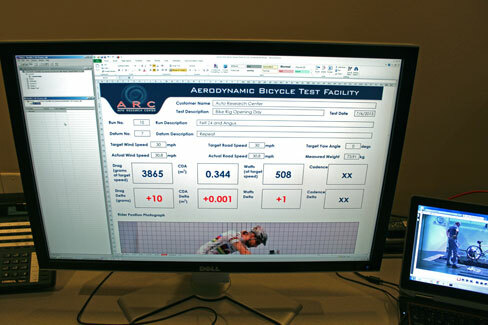 The ARC Aerodynamic Bike Testing Facility (ABT) provides competitive cyclists, triathletes, manufacturers of gear, clothing and bikes the advantage of increasing their speed and efficiency with the most accurate commercial bicycle testing facility. The equipment allows a range of testing with or without the rider, with six component balance resolution as accurate as 0.25 Watts. 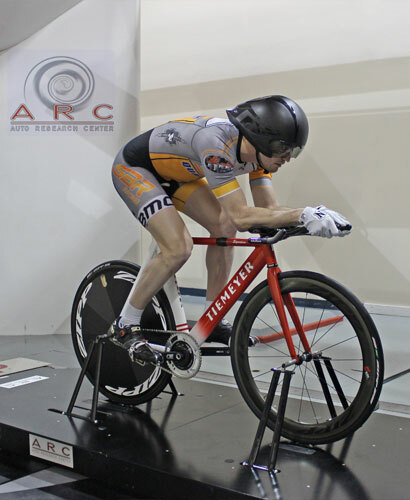 ARC's Aerodynamic Bike Test Facility is open for public use. 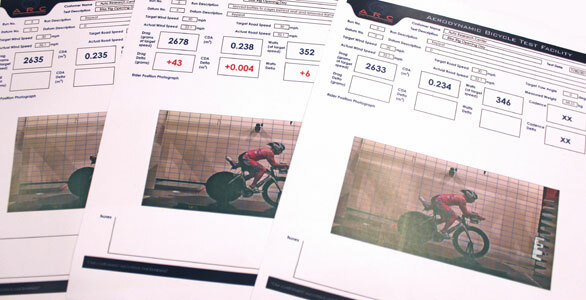 Test sessions for 6 riders over a 12 hours day is the most cost efficient testing for cyclists. 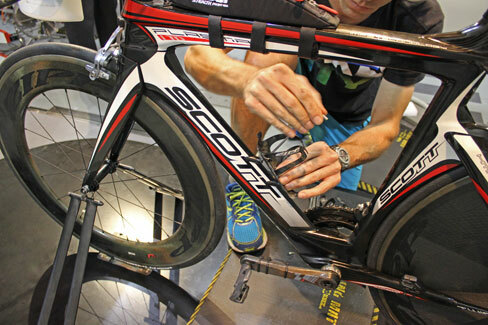 Bike fitters, let your customers know about this opportunity and increase their competitive results using state of the art tools available while keeping individual cost low. 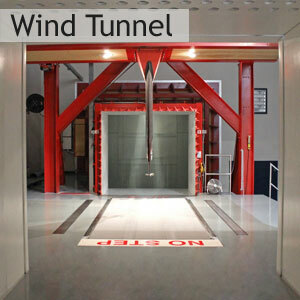 The ARC Aerodynamic Bike Test Facility Wind Tunnel is not the only way to gain a better understanding of cycling aerodynamics. CFD (Computational Fluid Dynamics) is a digital form of aerodynamic analysis and is an excellent tool to help visualize the flow field around the bike and rider. Most cycling CFD analysis is done using steady state turbulence modeling, which simplifies the flow field calculations using an approximation of the Reynolds Averaged Navier Stokes equations. 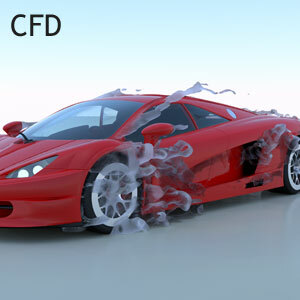 ARC's ELEMENTS CFD software was coded and validated for transient turbulence. Transient turbulence modelling captures more of the subtle details in the airflow, as demonstrated in the video below. For more advanced analysis the effects of spinning wheels can be modeled using a sliding mesh. The visualization images from CFD help cycling manufacturers gain a better understanding of how to improve their products, while for bike fitters to help their customers see how air is actually interacting around the body and why proper form is important. To learn more about CFD and ELEMENTS, visit the ARC CFD webpage.